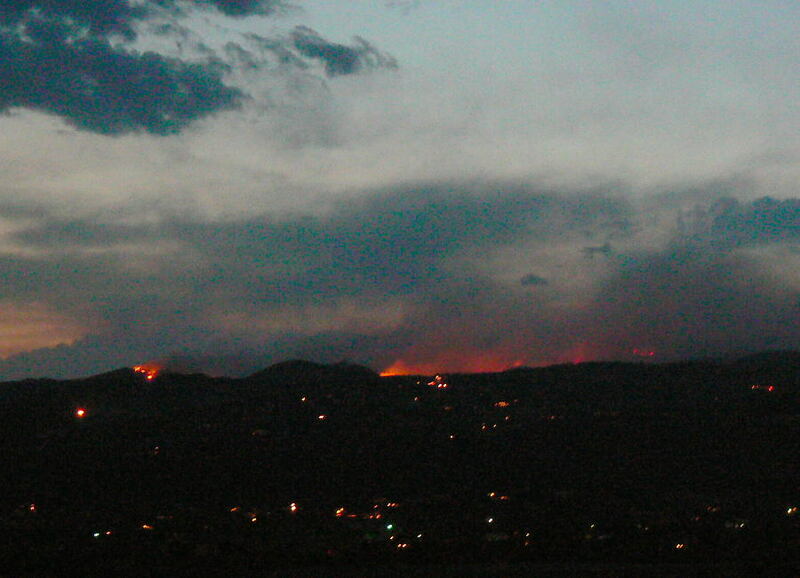 Home > Perspective > Arson most likely cause of Waldo Canyon Fire? 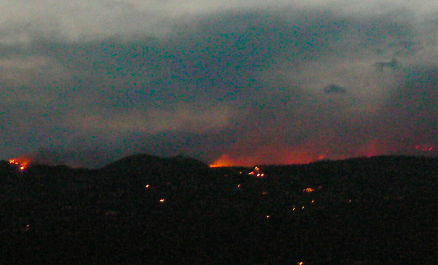 Arson most likely cause of Waldo Canyon Fire? The Teller County area reported of 20 attempted arsons in the few days just before the fire began in Waldo Canyon. As a result, as Manitou Springs is evacuated and the fire moves over Rampart Ridge and eastward, many are beginning to discuss this issue of possible arson being the most likely cause of this one fire, though the news reporting has so far mainly tried to snuff out almost all reporting anything about this possibility/ probability. They don’t want to whip the general public up into a total frenzy… perhaps? There are a lot of angry and hurt people that are unemployed and homeless these days… young and without possibilities. Is this fire one example of possible economic ‘blowback’ developing and beginning to happen across our country? Angry and economically demoralized people setting fires intentionally…. over and beyond the usual number of arsons being done in past years? It is a definite possibility. People who are shafted by society often tend to shaft society back in return. It take a damaged person to even rationalize something like this. Get therapy. Nobody is ‘rationalizing’ are condoning arson, like Nunya Busnes insinuates I was doing. I have a feeling though, that he is simply one or another of the numbskull and dishonest Right Wingers that have been occasionally plaguing this site with their inane dittoheaded, usually one sentence comments because they hate the antiwar point of view expressed here on NMT. Get lost, Nunya Busness. You useless cur! Arsonists need to be thrown in jail, however it is stupid to not examine why there may be more and more of these petty criminals running around doing stupid stuff. If you are unemployed and marginalized by society, one tends to do stupid things. Mentioning that USA TODAY reality is in no way condoning any of those stupid behaviors though, and certainly is not condoning arson. Tony has a right to speculate and arson isn’t far-fetched. Arson was the cause of the devastating Hayman fire. Currently the fire needs containment, but one would have to be very naive to pretend they aren’t going to look for causes. Everyone’s worried, upset, caring… so why wouldn’t Tony (or anyone else) want to know if someone caused this tragedy by criminal intent? The damage IS in the fire zone. Concern IS the therapy. Action IS the therapy. Idle is the worthless petty insult.